You never know when you are going to need service on a garage door remote clicker in Stouffville, Ontario. You could go out to your car tomorrow morning and try to use the device to no avail. Like all electronic devices remotes can be unpredictable. At Stouffville Garage Door Repair our certified technicians are trained to service all makes and models. We carry and service the most popular brands, including Liftmaster, Marantec, Genie, Chamberlain, Craftsman and Sears. Our specialists will quickly and effectively program, repair or replace your existing garage door remote at a very reasonable rate. If you have a garage and use a garage door clicker to open and close the door then you obviously know how beneficial these devices can be. Garage Door Repair Stouffville knows how helpful and convenient these components are and that is why we are so focused on the service we offer. There are different scenarios in which a remote can be very accommodating. When you pull up to your garage late at night and you are all alone it may seem a little eerie to get out and open the door. You feel much safer doing so from the safety of your vehicle. If you pull up to the garage in the middle of a thunderstorm the garage door remote control comes in pretty hand too. When your garage door opener remote stops working the first thing you should do is check the batteries. If the batteries are still charged than it is time to begin troubleshooting and our experts are the best team for the job. Your garage door remote clicker may simply need to be reprogrammed. Our specialists can do this quickly. If there is a repair issue we can address it. 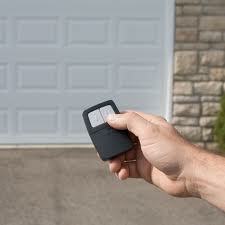 However, you may end up needing garage door remote replacement and we have you covered there as well. Give Stouffville Garage Door Repair a call to get the excellent remote service you need and deserve.